"Scott Guy was a good man, a great dad, a salt-of-the-earth farmer who was gunned down at his front gate for no conceivable reason. His death enthralled us, partly because it was so inexplicable, but also because there were no obvious suspects. When police finally arrested someon... read full description below. 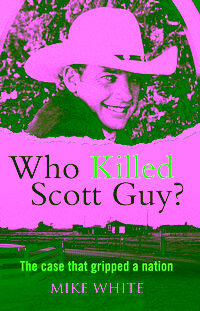 Journalist Mike White's book titled Who Killed Scott Guy? is an account of the successful defence of murder accused Ewen Macdonald. Macdonald was acquitted of shooting dead his brother-in-law Scott in July 2010. The book details the crime scene, the work of the defence team, holes in the police case and the resulting trial. It includes excerpts from Macdonald's diary, and states the jury got it right. The book also describes how Macdonald's former friend and hunting mate Callum Boe told police: "I think that Ewen Macdonald shot Scott Guy, and that's just spinning in my head. And it's just a theory, that is, like my gut is telling me that." Mike White is a senior writer at North & South magazine. He investigated Scott Guy's murder for more than a year and was present throughout Ewen Macdonald's five-week trial. At the 2013 Canon Media Awards he won the Magazine Feature Writer of the Year award for his coverage of the case.